If you are as fascinated by the legendary original Gibson Les Paul "Bursts" of 1958, 1959 & 1960 as I am, then this article will be right up your alley. Often called the "Holy Grail" of guitar collectors, the Les Paul Bursts of 1958-1960 are the rarest, most expensive and many say best sounding electric guitars ever made. If you really want to know about them there really is one person you need to ask: Vic DaPra. A Pittsburgh native, Vic has been playing and collecting them since the early 1970s and he is widely known as "the authority" when it comes to these rarest of electric guitars. Let's put it this way, when the Gibson Guitar Company and Custom Shop has questions about these vintage Les Pauls, they call Vic. His expertise of Bursts is second to none and he not only plays, collects and sells them at his store The Guitar Gallery just outside Pittsburgh, he also designs special production runs for the Gibson Custom Shop for artists such as Rick Nielsen of Cheap Trick, Brian Ray with Paul McCartney, Mick Ralphs of Bad Company and Steve Dacanay of Buckcherry. Vic's Les Paul Burst obsession started in the early 1970s and just like Jimmy Page of Led Zeppelin, he had to own two. Ever since, he has been on a lifelong quest to get his hands on those mythical 1959 Bursts. Vic, in addition to being a best selling author on the subject, is the go to guy for all things Les Paul Burst and anyone who wants to know about one or find one to purchase calls Vic DaPra. We had a chance to talk with Vic recently and you can listen to our interview, complete with great pictures of some of these Les Paul Bursts in the above video in this article, complete with some great photos. Vic has written five books on the subject but his latest two are best sellers and for good reason. 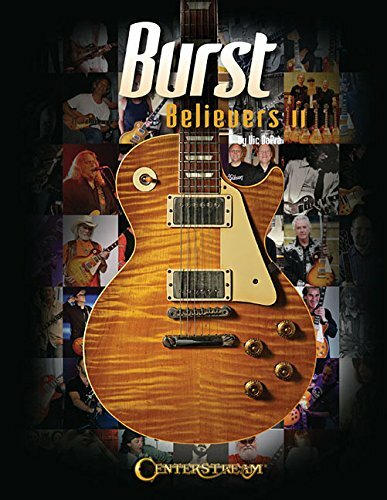 They feature the most interesting guitar stories and photographs of some of the most beautiful and famous Les Paul Bursts in the world. Flipping through the pages of both of these books is pure heaven for the true fan of the vintage Les Paul Bursts and I have spent hours enjoying them both. Some of the pictures and stories are from famous rock stars but many of them are also from owners who are simply collectors who play and have found their perfect Burst. You can purchase them individually or as a set. For your convenience, I've provided some links below so you can get your copies. If you're as much of a Burst fanatic as I am, you will be quite glad that you have them in your guitar book library! One primary inspiration Vic DaPra had for writing these great books stems from his quest for what is now known as the "Believer Burst." 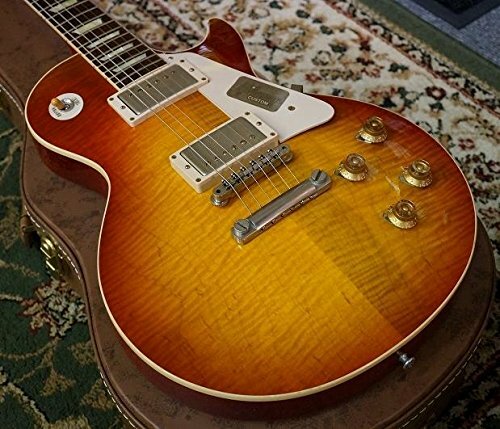 Vic chased this 1959 Les Paul Burst, serial number 9 0850, for over 20 years until finally he acquired it from the widow of a guitar collector from Denmark who beat Vic to the punch 20 or so years earlier. With the help of his friends at Gruhn Guitars, he tracked it down some years earlier and tried to buy it from the Dane...but no sale. When he passed away, his widow contacted Gruhn Guitars and they alerted Vic. As discussed in our interview below, he didn't even talk price...he simply had to have it! BURST BELIEVERS 3 IS HERE! 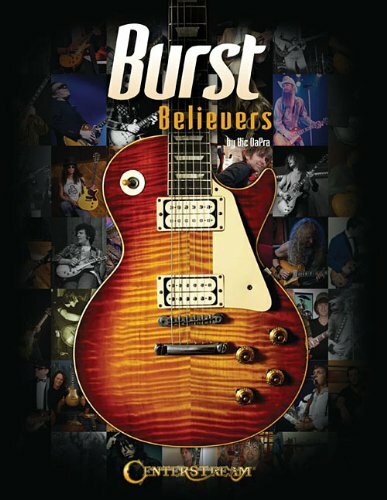 The latest Burst Believers book from vintage Les Paul authority Vic DaPra. Available now for pre-order, with a January, 2017 release date. 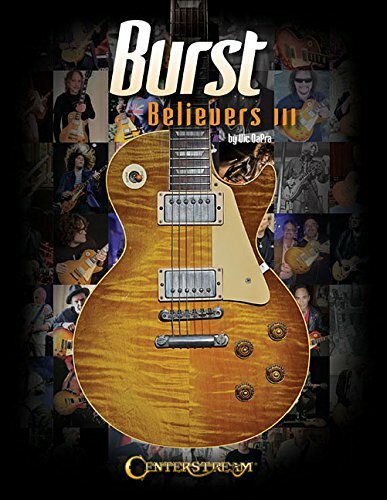 If you love awesome photos, stories and history of those vintage Gibson Les Paul Bursts (1958-1960), you will love this latest from Vic and all of his Burst Believer books! Just click the image below and get yours today! Vic finally got the believer burst after chasing it for almost 30 years! Many Burst lovers say it is the finest looking and playing Les Paul Burst ever made, so Gibson teamed up with Vic to create a limited run in their Collector's Choice Series and created the Collector's Choice #9: The Believer Burst. As we discuss in the interview, the Gibson Custom shop uses some unorthodox scientific methods to exactly recreate the Collector's Choice Series and they have made some incredible guitars in this Series, including the Believer Burst of Vic DaPra. In addition to writing incredible books and being the world expert on Les Paul Bursts, Vic has also teamed up with the Gibson Custom Shop to create limited runs of Les Paul Bursts for a handful of name artists, created to Vic's spec with that individual guitarist in mind. Some of Vic's greatest runs include the following models that we talk about in the interview. Les Paul "Burst Believers" Author Vic DaPra is the expert when it comes to the 1958-1960 Gibson Les Paul Bursts...and he is also one of the nicest people I've ever had the pleasure to meet. 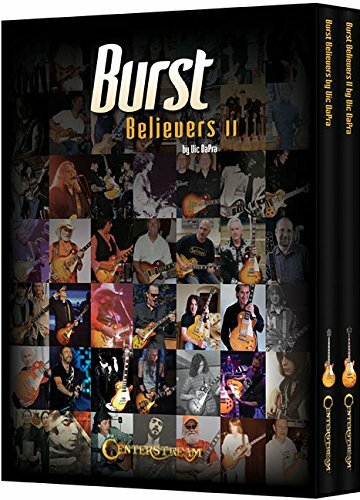 All of you Les Paul Burst Believers, like me, should own these incredible books by Vic and just a tip: Vic is currently working on "Burst Believers III" so stay tuned. You contact him at his Guitar Gallery Store for more information. If you're really into Gibson Les Paul Bursts as much as I am, and you want to pick up some stuff, please consider clicking on the following links. We receive a very small commission from Amazon and other affiliates when you buy through us and we use that to keep curating, creating and bringing you great content that you love. We appreciate you!